Amidst the driving wind and hail, I planted out about 100m² of Symphytum ibericum in the Shrubbery. It’s a dwarf comfrey, about half a metre high, vigorous and spreading, which I saw in a shady spot whilst on Martin Crawford’s Forest Gardening Design Course. It’s known as Iberian comfrey, and from the plant range on the RHS page, I think this refers to the classical Iberia in Georgia, not the Iberian peninsula of Spain and Portugal. 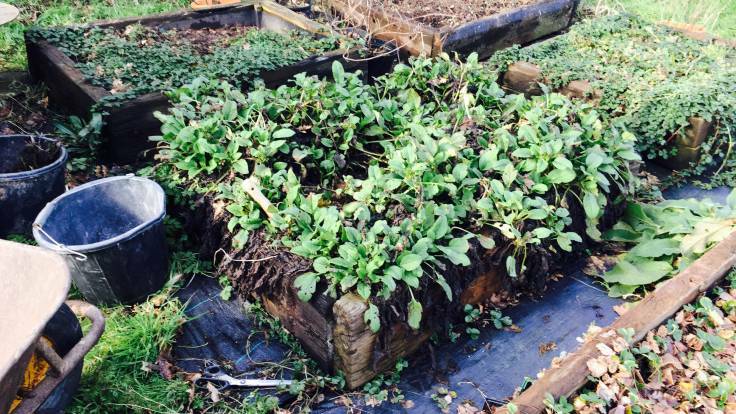 I bought four plants from Moorland Cottage Plants a year ago and popped them in a propagation bed, and they‘ve spread: big, chunky, comfrey roots going sideways and downwards. The nice thing about comfrey is that once you plant it, you have it forever. The downside is that once you plant it, you have it forever. The Shrubbery is at the bottom of the slope, past the polytunnel and shaded to the south by ash trees. Ash trees, if you didn’t know, soak up water like a darned sponge. 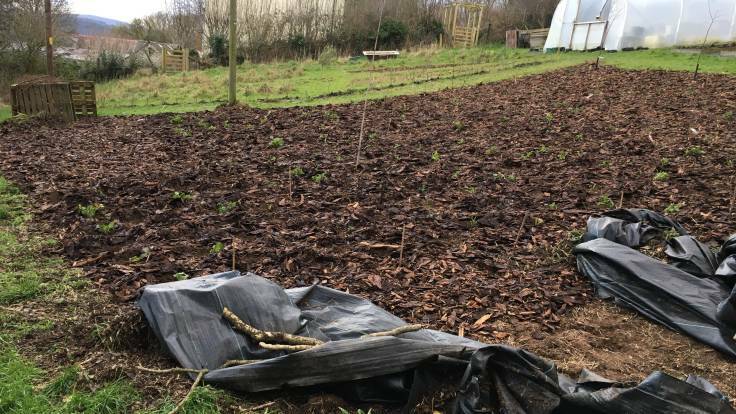 As soon as you come across the tree root network, the soil changes consistency dramatically, from a damp clay loam to a crumbly dry powder interwoven with roots. 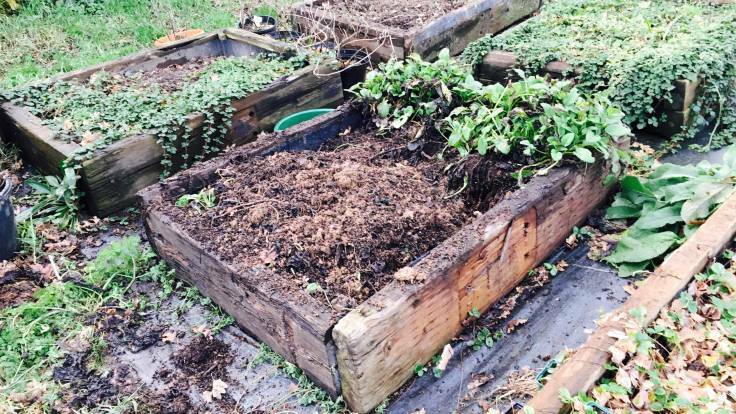 For the ground preparation, I used woven plastic to sheet mulch the area for a few months, removed it and then covered the area with bark from the local sawmill, planted the shrubs and then planted the Vinca Minor (Lesser Periwinkle) and dwarf comfrey. The cherry on the cake is a liberal sowing of Sinapsis alba (white mustard), which suppresses weed growth whilst the ground cover gets established. Now, it is time to replenish the propagation beds!